Dan Campbell and Ace Enders pay homage to the romance of the Mountain Goats’ “Broom People,” off their compilation album Songs That Saved My Life. While it’s certainly a point of debate as to when John Darnielle of The Mountain Goats became indie rock’s poet laureate, there are a few moments in his discography that have entered a larger culture awareness than those that would buy t-shirts that boast “I Only Listen to the Mountain Goats.” Of course there’s the story of Jeff and Cyrus’ failed garage band or a dangerous man’s trek to Georgia or a set of star-crossed lovers declaring their mutual feelings for each other. Despite the popularity of some of these songs, Darnielle never really entered the class of indie royalty that he’s in until 2005’s The Sunset Tree, which boasts The Mountain Goats’ most popular song, “This Year. Darnielle’s most confessional album is also his most popular, which makes it arguably the best for covers, but that’s not the only reason why Dan Campbell and Ace Enders’ take on the album’s second track “Broom People,” for the Songs That Saved My Life compilation is so compelling. 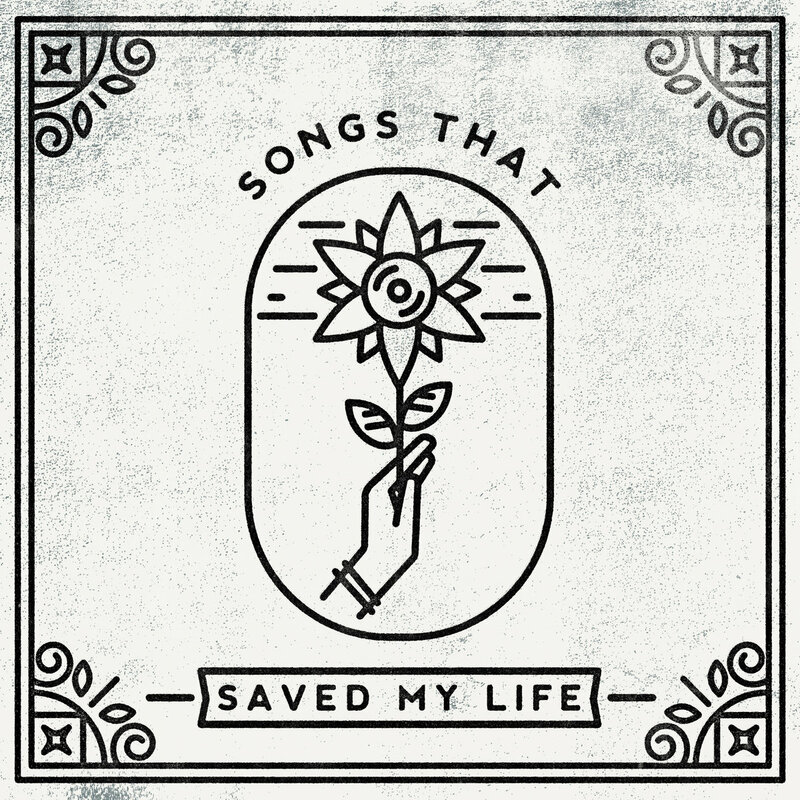 Songs that Saved My Life is a compilation that features artists covering just that, to raise money for suicide prevention. As most punk cover compilations go, the album itself is a mixed bag. It has the note-for-note takes that give you popular songs with different vocals (Taking Back Sunday’s “Bullet with Butterfly Wings” or Neck Deep’s “Torn”) or the songs with added distortion/screaming (As It Is’ “Such Great Heights” and Dance Gavin Dance’s “Semi-Charmed Life”), but there are moments that have an original take and add something new to the song (Stand Atlantic’s “Your Graduation” or Too Close to Touch’s “Let It Be”), which is especially true of “Broom People.” Despite pairing with his Aaron West and The Roaring Twenties partner Ace Enders, Dan Campbell’s take has more in common with post-rock and feels similar to much of The Wonder Years’ recent album, Sister Cities. The minimalistic feeling of the song harkens to Trent Reznor and Atticus Ross’ opening score to The Social Network, only swell with a cinematic ending. It’s structured very similarly to the pair’s “Thunder Road” cover: The emphasis on the piano melody of the original brings Darnielle’s imagery to the forefront. I am a wild creature. Campbell’s delivery is similar to that of a soloist in a choir, he projects at the right moments that create an emotional resonance based on an unspoken commonality. In both the original and this cover, there’s an emotional rawness to the line “half eaten gallons of ice cream in the freezer” due to them being symbols of nostalgia, coping mechanisms, and reminders of trauma all at once. I am a babbling brook. His voice goes from defeat to a triumphant yelp, and Campbell modulates his voice from a catatonic detachment to an emotional belt aided by a backing band swelling behind him. It’s really an accurate depiction of being in love despite being depressed; you can have all these terrible thoughts, but one person can sometimes help ease all the tension. Dan Campbell and Ace Enders’ “Broom People” fits in a special place on this compilation, mainly because it shows how in times of trauma, there are still people you can rely on, just as there are songs you can rely on.